The qualifying day at the Americas GP has been a tough one for Team SUZUKI ECSTAR, with Alex Rins out of the game after FP3 because of a fracture to his left wrist and Andrea Iannone struggling to find the proper touch for a good qualifying run. 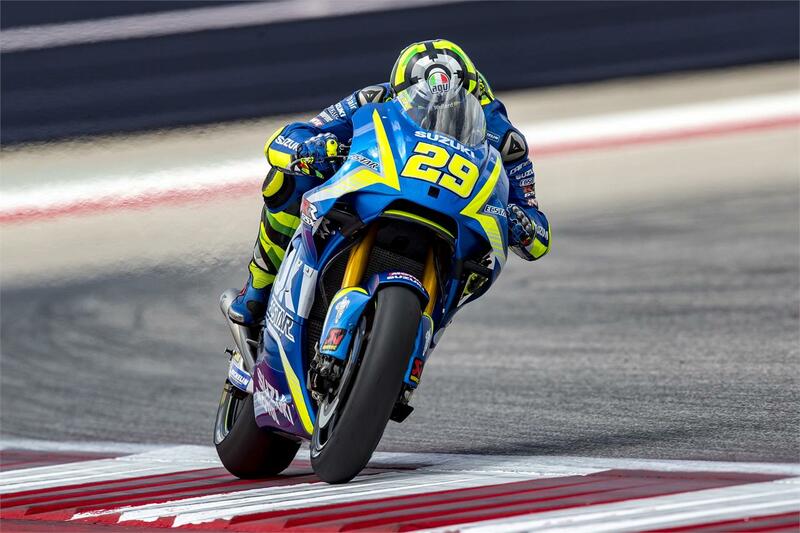 While Rins was undergoing a stabilizing intervention at the University Medical Center Brackenridge in Austin, Iannone went through the Q2 finishing in 11th place with 2'05.741. The morning session saw the track in very precarious conditions, with many riders crashing. Both Team SUZUKI ECSTAR’s riders crashed as well, but Alex Rins suffered the most serious consequences, with a displaced fracture to his wrist. Iannone struggled as well to demonstrate the proper confidence with his GSX-RR, but thanks to his tenth place time, scored yesterday in the afternoon, he was able to keep his tenth place in the combined classification which will allow him direct access to Q2. The qualifying session saw the Italian rider in another slide, which had no major repercussions to him or the machine but made him lose some time, and – most important – the possibility to fully take advantage of the potential of soft tyres. This resulted in the 11th place time, which will require him to undertake a catch up race. Suzuki is struggling very hard to get up there & they are doing it right! Hats off to them!